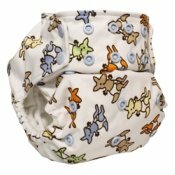 Thinking about cloth diapers? 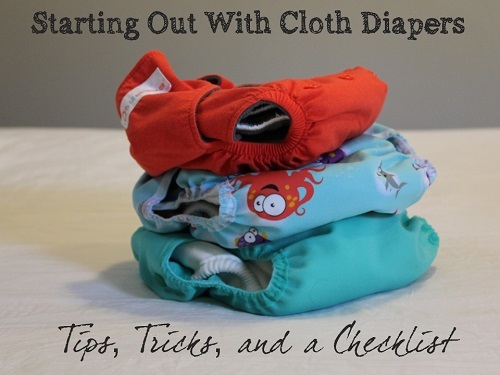 This article covers the basics on how to cloth diaper, including a checklist to help you decide what you need to buy. Rent a trial pack - you receive a full set of cloth diapers, often including detergents. If you decide you don't like them, you can return them for store credit or a full refund. And if you do like them, you can purchase them, usually for a discount! 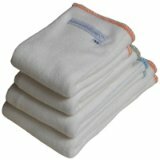 Read more about cloth diaper rental programs here. 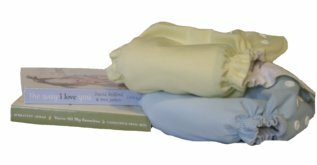 Purchase a small stash - with 8 to 10 diapers, you can get familiar with how to cloth diaper. If you go this route, you will either need to run very small diaper washing loads, or alternate with disposable diapers while they are in the wash. You should never wash other laundry with your diapers! When you're just starting out, it's often a great idea to test out your preferred diaper brand before you place a full order. That way you'll be able to make sure they provide a good fit on your baby, and you like the features. And don't forget to properly prep your diapers before you test them out! You'll save yourself the frustration of leaky diapers. Prepping is important since most new fabric isn't very absorbent until it is washed a few times to remove the natural oils that repel moisture. 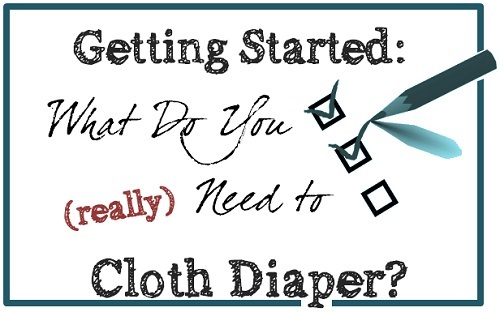 How to Cloth Diaper: What Do You Need to Get Started? Read a few articles, and you'll see some pretty big differences between them in what people suggest you buy for cloth diapers. While every family's needs are slightly different, we've pulled together a checklist to help you decide what you need to buy. You can add all the bells and whistles you would like, but these are "the essentials"! Depending where you look, you'll find a wide range of recommendations on the number of cloth diapers you need to purchase. While you can always start with a small stash of cloth diapers and do laundry more frequently, most parents prefer to have enough cloth diapers for 2 to 3 days. Even with a higher number of diapers, you won't want to go more than 3 days between washings, because after this, odours can start to set in. If you don't mind doing laundry a little more often, you can buy fewer diapers. For brand new newborns, many parents will find that 24 diapers is enough, but there may be a few weeks early on where you have to do laundry more frequently - some parents are more comfortable with 30 to 36 diapers to start. If you are starting cloth diapering after your baby's first month, 20 diapers will likely be enough. Older babies' bowel movements are less frequent, so if you're starting even later, you can usually get away with a smaller stash. If your baby is bottle fed or already eating solid foods, you may want to consider a diaper sprayer or flushable liners. Optional: diaper pail - we used a step-on garbage can, with a lid that closed tightly to keep pets out. If you don't have pets or other little ones, you can use an open pail. Planning to Cloth Diaper a Newborn? Are you wondering how to cloth diaper a brand new little one? Many parents (myself included) decide to purchase a set of newborn-sized diapers for the early days, and then move baby into one-size or larger diapers later on. If you're working with a tight budget and your newborn is likely to be full-term, you may be able to get away with a single set of one-size diapers with minimal issues - as long as you select a brand that offers a snug fit. Read our article on newborn diapers here for our favorite one-size options that size down for wee ones. If you decide to buy sized diapers, buy only one size at a time, since manufacturer warranties usually start at date of purchase. If you can afford it, 2 diaper pail liners are worth the extra investment. With 2 liners, you can re-line the pail before you finish washing the load that's already in the wash. While you don't need a diaper pail (you can hang your wet bag on a hook or door knob), I do suggest a step-on garbage can with a lid that closes tightly if you have pets or a toddler. While you can always use an old plastic bag, travel wet bags are awesome. They are zippered and can be used again and again for carrying home used diapers, dirty shirts, and wet bathing suits. If you or someone you know can sew, you can even make your own wetbag. Cloth wipes don't need to be fancy. We purchased inexpensive terry facecloths from the local dollar store, and they worked just fine. We later discovered flannel backed fleece cloths that seemed much more luxurious, but totally not necessary! If you're nervous about messy diapers, get a diaper sprayer! It makes cleaning up messy diapers a breeze. You don't need a plumber to install it (the instructions are so easy) and it was the best $50 I ever spent on cloth diaper accessories!